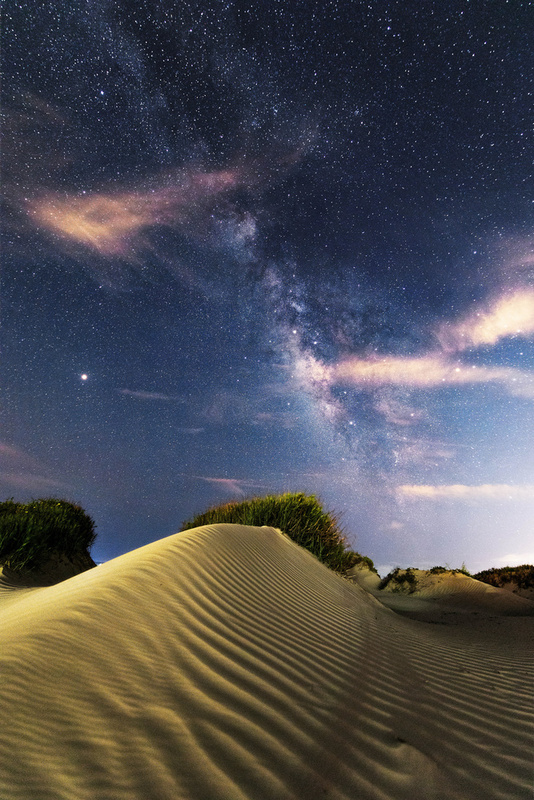 Milky Way over the dunes on Galveston Island. Located about forty miles from the city, it's the nearest dark sky site for Houstonians. Five images stacked in Photoshop for noise reduction.